Florida First Senior Home Care » Why Home Care? It can be difficult deciding care options for an elderly, special needs, or sick loved one. The stigma that surrounds a nursing home atmosphere may not be the most luxurious or affordable option. We know that most families cannot always provide full-time caregiving services for their loved ones due to growing medical concerns or daily responsibilities. We also understand that you want your loved ones to have the care they need without compromising their dignity or independence. That’s where home health care services offered by caregivers referred by Florida First Senior Home Care comes in. Home health care services are an alternative option to an institution like a nursing home or medical facility for medical and care needs of your loved one. A nurse or trained aide referred by Florida First Senior Home Care can visit your loved one’s home to provide help with home duties, daily routines, meals, medical care if needed, offer companionship, and much more. Your loved one will be able to live in the comfort of their own home while also keeping their independence by performing daily activities with the help of their caregiver. 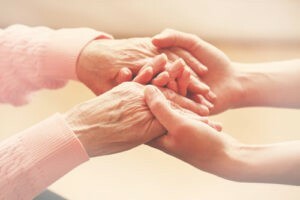 Not only will they have the help they require, but they will also be able to do all the things they love to do that would otherwise be compromised in a nursing home; invite friends and family over for the holidays, surround themselves in the comfort of their own backyard, and sleep in their own bed. Not only do home health care services offer a comforting option, but it allows for the entire family to be involved in the care process. They are dedicated to the well-being of your loved one; which means open communication and participation with family. 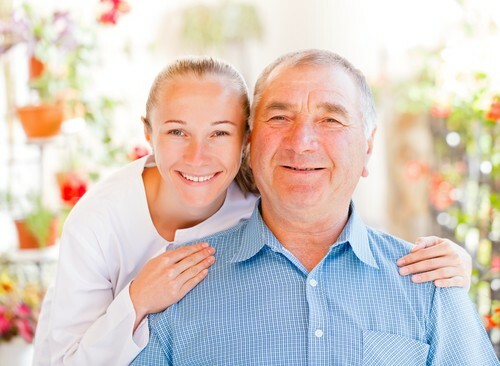 Additionally, choosing home care means peace of mind for everyone; your loved one, yourself, and your entire family. A referred caregiver is much more than a home aid. Referred caregivers are trusted companions committed to the health, comfort, and safety of your loved one. Help your loved one maintain the quality of life that they deserve by choosing a certified and highly trained caregiver referred by Florida First Senior Homecare.